We are sending you this open letter by Helen Alvare. This is such an important issue that we believe we must make our voices heard. 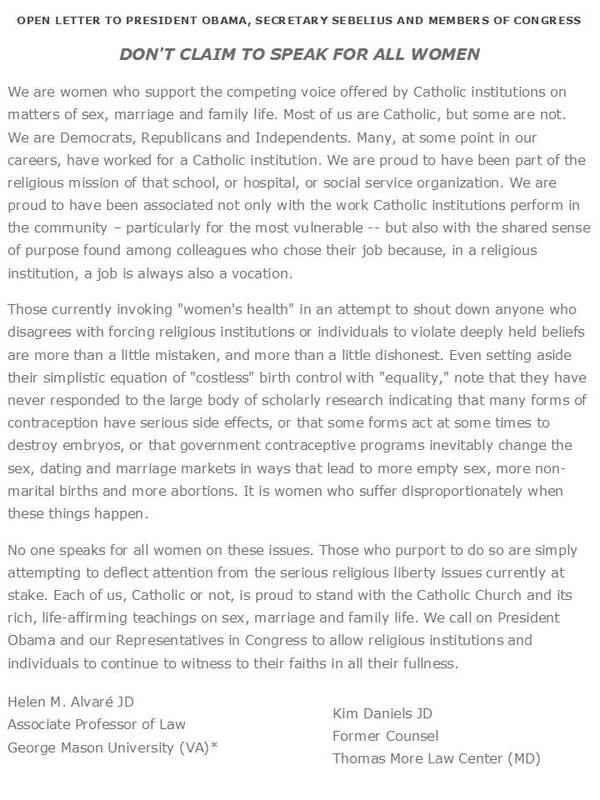 If you agree with this letter, we ask you to do two things: 1) Please go to womenspeakforthemselves.com so you may sign the petition; and 2) Please forward this to your entire email list. We also encourage you to contact your congressional leaders through email, letters, phone calls, etc. Please click on Magnificat's website for the USCCB Bishops' Statement and Directives. May God have mercy on our Country.